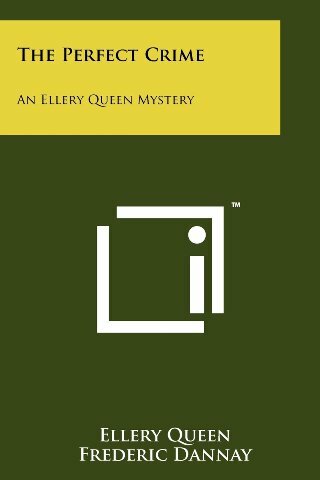 ﻿ The Perfect Crime - Q.B.I. 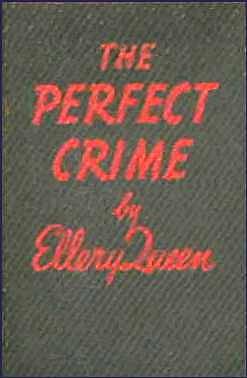 With $250,000--of somebody else's money--in his pocket, Ellery had the time of his life buying in the famous Garten book collection as it was auctioned off. But the fun didn't last long, for before evening John Mathews, who had been responsible for Garten's ruin, was found murdered. 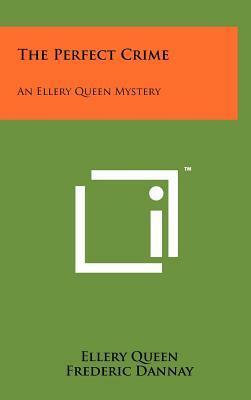 And neither the book collector, nor the dead man's nephew, Walter, who was engaged to Garten's daughter, had any kink of an alibi. 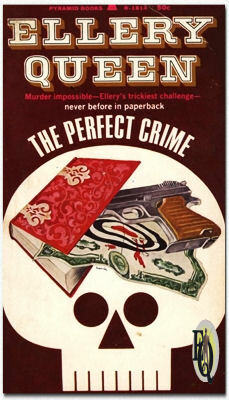 The police were certain it was murder - but a reliable witness "saw" the hated Wall Street millionaire shoot himself in the head! 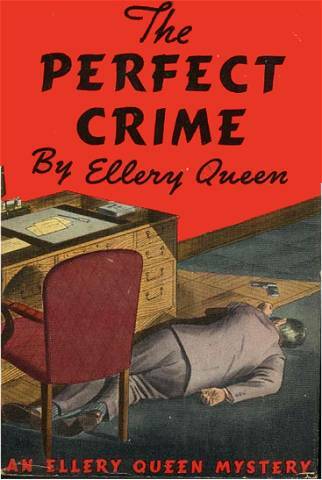 There were half a dozen suspects - each, naturally, with an airtight alibi - but first Ellery Queen had to figure out how the impossible crime was committed. Ellery crashed through the door and bent over Nikki on the floor. "What happened?" he demanded. "Are you hurt?" "I don't know" she moaned. 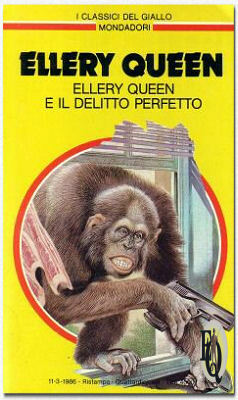 "I thought I was dead" She sat up and pointed at the corner of the room, where the chimpanzee cowered, whimpering. "That creature... he came through the window with a gun... he tried to murder me!" 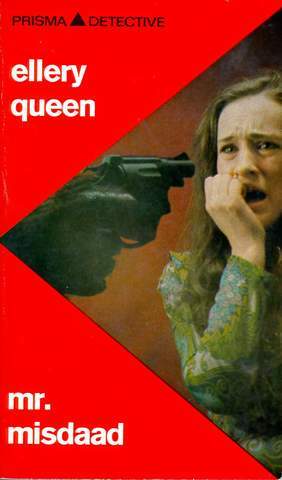 Non-Queen based on the movie Ellery Queen and the Perfect Crime for which the the plot of The Devil to Pay was used. Nikki Porter reappeared. 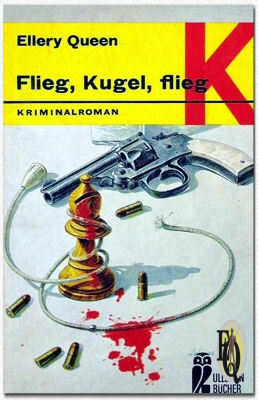 Also appeared as one of the Better Little Books in 1942. 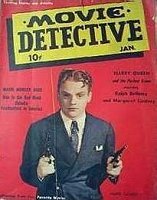 Above right: Issue of Movie Detective, Jan.1940 with publication of movies in story form e.g. 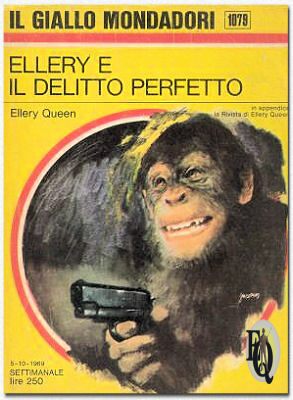 Ellery Queen & the Perfect Crime.